THE first thing that strikes you when you turn on the LG G2 is how beautiful the display is. It is sharp and vibrant and comes on such a big screen. It’s almost realistic you’d find yourself gingerly pressing the glass. And as you start using what is currently LG’s flagship device, the next thing that will strike you is how responsive it is. Opening apps, switching between applications and moving between screens feel fluid and seamless. And as the day wears on, you’d find the phone’s large battery capacity kicking in, allowing you to use the device for an entire day without having to recharge. I tried the LG G2 for several weeks and found the phone, which comes with Android Jelly Bean, a joy to use. One of the key features of the new BlackBerry 10 operating system that runs on newer devices like the Playbook, Z10 and Q10 is its ability to run some Android apps that have been converted into .bar files. To install these apps, you need to “sideload” the files or transfer these to the phone via a laptop or desktop. If you’re on Windows, you can sideload the files using DDPB or VNBB10. If you’re on a Mac, it used to be a bit more complicated to install Android apps and required that you type commands on the Terminal. 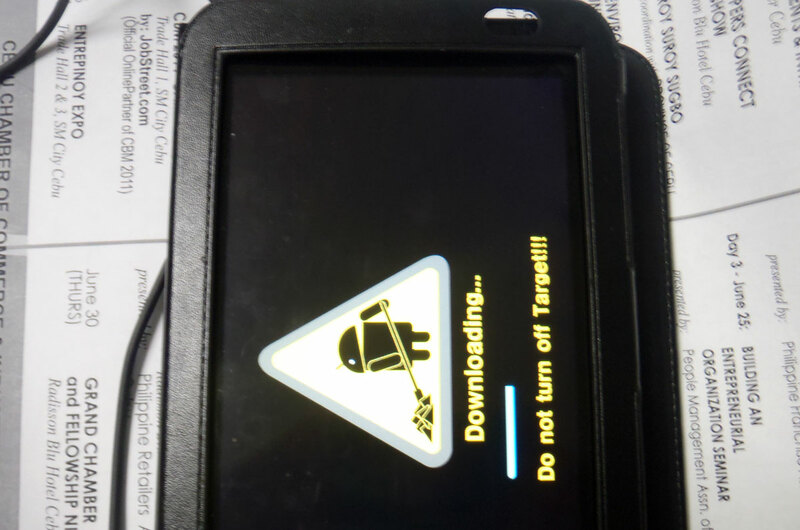 I just upgraded my Samsung Galaxy Tab (Model GT-P1000) to Android 2.3.3 or Gingerbread. Ever since Samsung announced the tab was getting Gingerbread, I’ve been regularly checking whether the firmware was already available for the Philippines. Gingerbread offers a streamlined user interface “for simplicity and speed.” Here’s a listing of the firmware’s improvements. GINGERBREAD UPDATE. The Galaxy Tab gets upgraded to Android 2.3.3 or Gingerbread, which offers improvements on the user interface, power management among a slew of other features. Click on photo to enlarge.